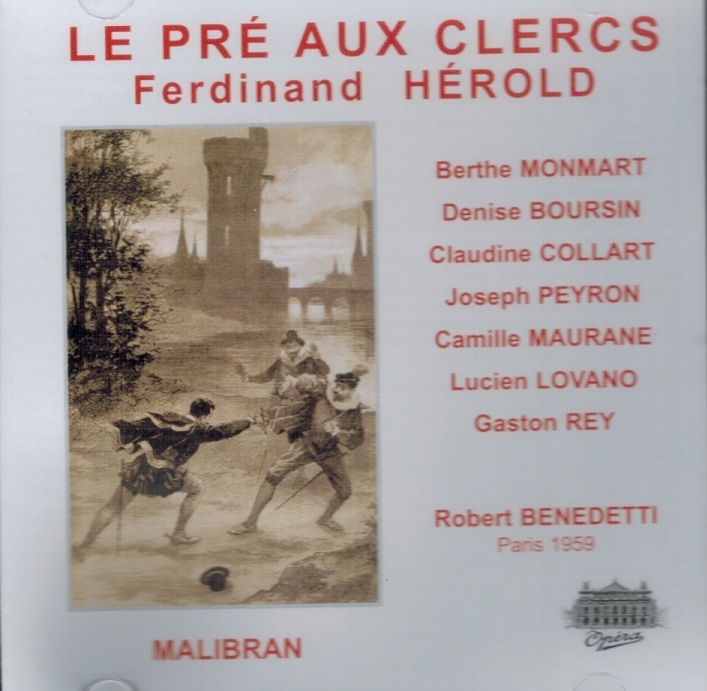 “LE PRÉ AUX CLERCS (The Clerks' Meadow) is an opéra comique in three acts by Ferdinand Hérold with a libretto by François-Antoine-Eugène de Planard based on Prosper Mérimée's CHRONIQUE DU TEMPS DE CHARLES IX of 1829. 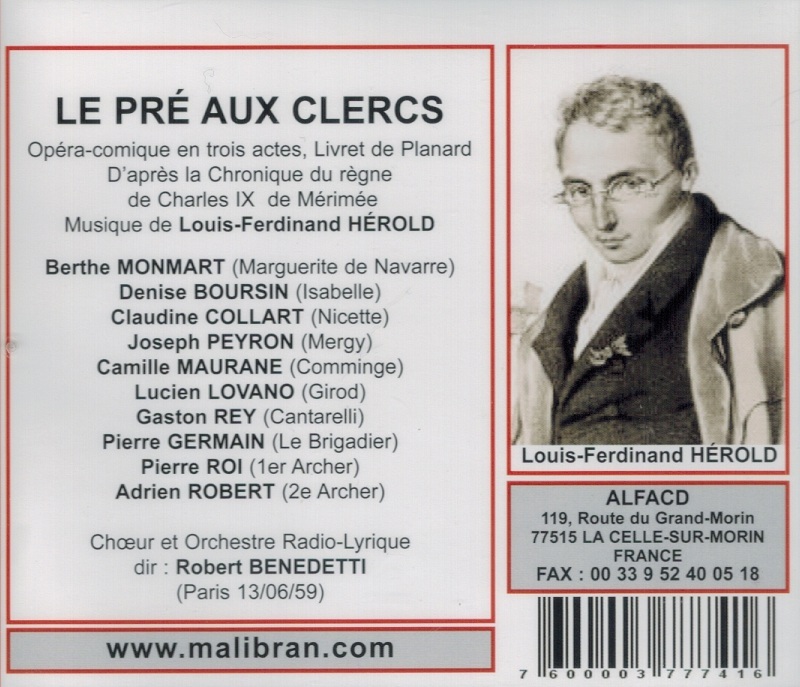 LE PRÉ AUX CLERCS was premiered in Paris by the Opéra-Comique at the Salle de la Bourse on 15 December, 1832. However, after the first performance, Madame Casimir refused - possibly demanding more money - to sing in the subsequent performances, and Mlle Dorus of the Opéra was coached by Hérold over five days to take over the role of Isabelle. Pougin claims that this incident exacerbated the composer's ill-health, leading to his death five weeks after the premiere. The opera, Hérold's last completed one, was very successful, inaugurating the new Salle Favart in 1840, and enjoying some 1,000 performances up to 1871, and reaching its 1,600th at the Opéra-Comique by 1949. Soprano Berthe Monmart debuted at L'Opéra-Comique on 18 April, 1951 as the Countess in NOZZE. She then appeared as Ariadne in ARIADNE AUF NAXOS, Santuzza in CAVALLERIA RUSTICANA, Fiordiligi in COSI FAN TUTTE and Charlotte in WERTHER. Camille Maurane was a French baritone singer who studied at the Paris Conservatoire in the class of Claire Croiza from 1936 to 1939. He began his professional career as a singer in 1940 at the Opéra-Comique in Paris. 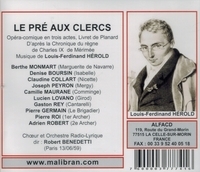 He débuted as the Moine musicien in LE JONGLEUR DE NOTRE DAME on 14 January 1940.